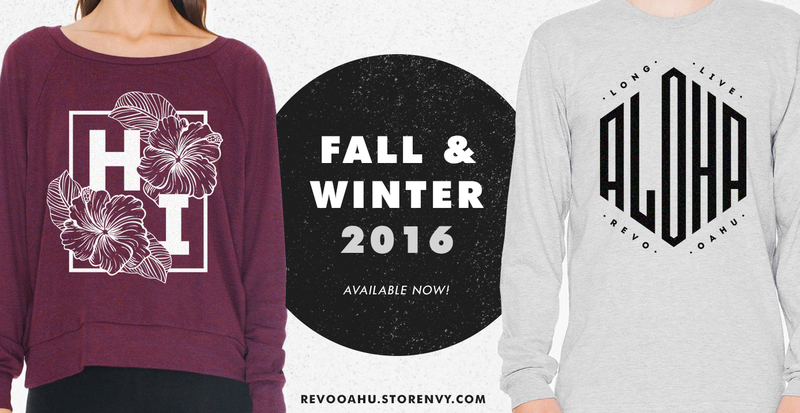 It's been so long since I've had the time or inspiration to create new apparel designs for REVO Oahu. When it comes to designing for myself or for my business, I struggle. My perfectionism increases and I just plain out annoy myself to the point where I just don't want to do it anymore hah! I'm sure other creative types have experienced the same! It's so hard, as a graphic designer, to design for yourself because you are forever critiquing everything; you don't have a client telling you what they like or don't like because the client is yourself. And the indecisiveness gets real. So real.